This beauty came in from a Sendsomething fountain pen user. HA! I love the older model Mac, too. 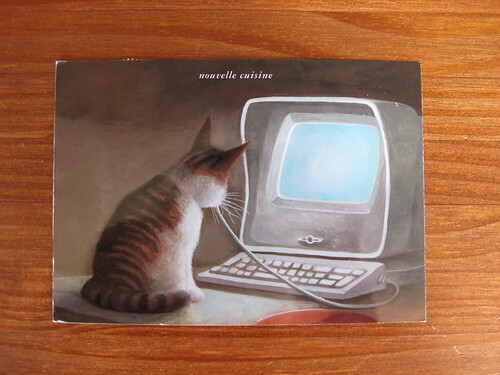 The postcard is from inkognito in Germany, which often has really amusing artwork.